Congratulations to the 2017-2018 Student Awardees! The American Kinesiology Association (AKA) is a department-member organization that advocates for kinesiology as a unified field of study at the national and international levels. Each year, the AKA selects one undergraduate student to be recognized nationally for their academic achievements. 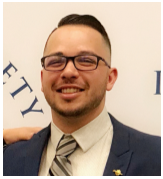 For this past academic year, Rafael Alamilla from CSUSB Kinesiology was the recipient of the AKA National Scholar Award. 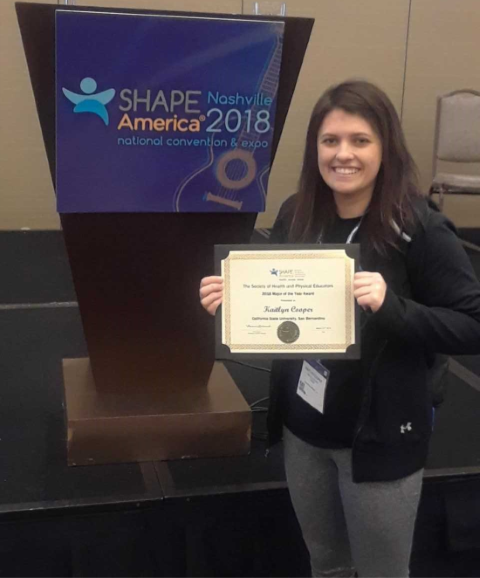 Kaitlyn Cooper attended the Society of Health and Physical Education (SHAPE) America Conference in Nashville, TN, where she was named the SHAPE American Major of the Year for Adapted Pedagogy at CSUSB. Two kinesiology students, Danielle Cox and Darren Favela, were inducted into the Phi Kappa Phi Honor Society on April 7, 2018. New members are inducted into the Phi Kappa Phi Honor Society by invitation only. 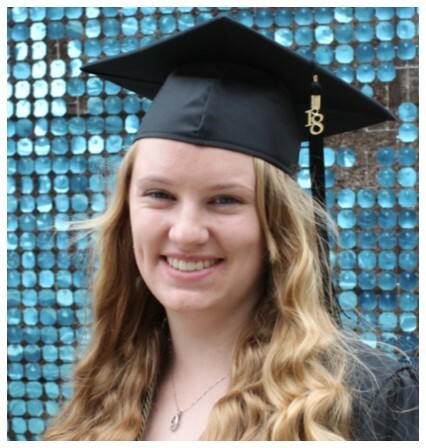 Some requirements include seniors having completed at least 90 credit hours, a ranking among the top 10% of their class, and a nomination approval by the chapter. Kinesiology Student Association received Gold status for the Community Service Award from the Office of Student Engagement.